Owner and operator of Welch Haven Fabrics, currently shipping 100% cotton velveteen to theorem artists nationally and internationally. This venture began in 1984 and the painting of theorems in 1987. 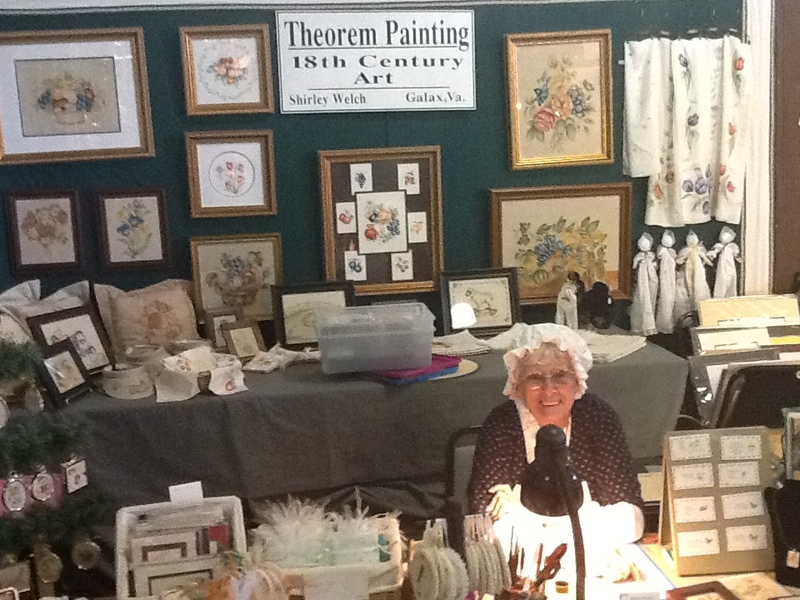 Welch Haven Fabrics is listed as source for velveteen in most articles on theorem painting appearing in magazines and also listed in "The Art of Theorem Painting" published in 1994. Presently theorem painting is a part of the Village of Yesteryear, having been juried in 1994. Theorem painting is demonstrated at various times during the length of the fair. Currently serves as a member of the Village of Yesteryear board as secretary and assistant treasurer. Current member of the Kerr Lake Art Society, (having served four years as secretary and one year as vice president), past member of Vance County Arts Council, (having served on board for two years and vice president for one year). Both these organizations are located in previous location of residence, Henderson, North Carolina. Presently a member of National Society of Decorative Painters, Shades of Blue Ridge, (local chapter of NSDP), the Colonial Williamsburg Foundation, the Galax Art Guild, Mountain arts Program of NC and judge for Kerr Lake Spring Art Show. Welch Haven Fabrics is currently located in Galax Virginia.